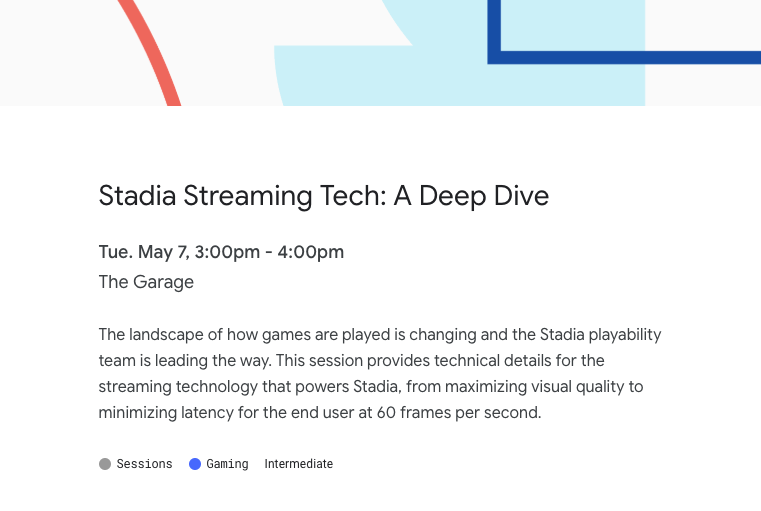 It all kicks off on May 7 at 10am with the Google Keynote at the Shoreline Amphitheatre where Sundar will talk us through some of Google's key goals for the year ahead, followed by a more developer focussed keynote. The rest of the first day is packed with sessions on gaming, Material Design, self-driving cars, Android, and a number on Assistant. The 3pm deep dive into the streaming tech behind Stadia could be particularly interesting. There's also a talk about building apps for foldable displays. Day two starts with sessions on development tools such as Android Studio, Material Theming, and Digital Wellbeing. A few more Assistant slots follow, as well as a look at the making of the new AR Google Maps functionality. The third day offers lots of very technical discussions about building apps and the like, with 'Moving Away from the Light with Android Q' at 9:30am a likely highlight. 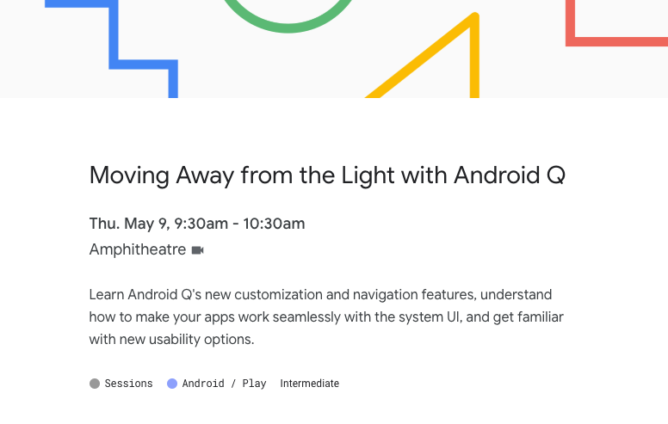 We'll also learn more about Google's plans for Search and Chrome OS before the day is closed out by the Android Fireside Chat with Chet Haase and a panel of engineers. Other sessions include topics such as the Chrome browser, Android TV, online payments, KaiOS, GIFs, Android Auto, as well as plenty more for developers to sink their teeth into. While more will be added, there are currently no listings that mention Wear OS — make of that what you will. Check out the full schedule in the source link below to find out more.